This species is accepted, and its native range is Tropical & S. Africa, Madagacar. 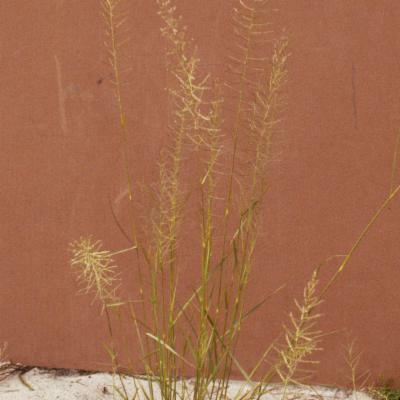 Densely tufted perennial; culms 40–150 cm. high, stiffly erect, unbranched. Leaf-blades 4–33 cm. long, 2–5.5 mm. 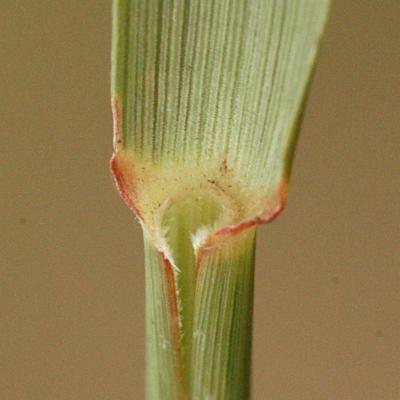 wide, flat or convolute especially towards the narrow tapering tip, scabrid on the upper surface, smooth beneath; ligule 0.25–0.5 mm. long. Inflorescence linear-oblong to pyramidal, 11–44 cm. long; racemes 1–6.5(–8.5) cm. long, ascending or spreading, often falcately curved, tardily deciduous. 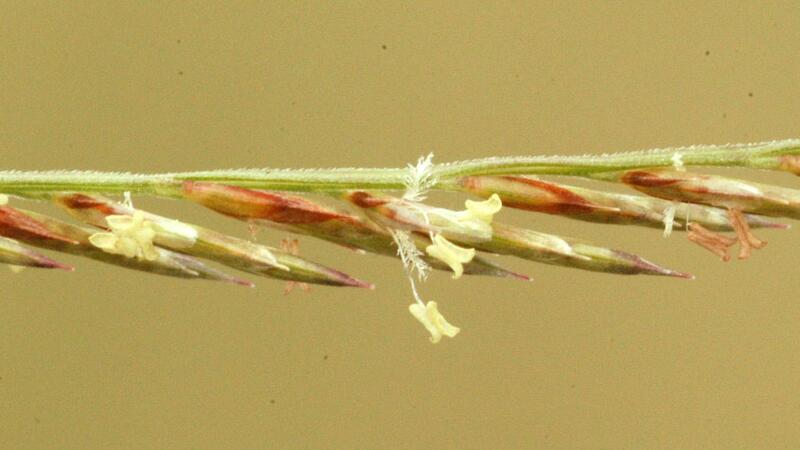 Spikelets 4–10-flowered, elliptic to narrowly elliptic-oblong, 3.3–7.8 mm. long, biseriate, disarticulating between the florets, but often also with the glumes and lemmas falling irregularly at maturity leaving the paleas on the rhachilla, tips of the rhachilla-internodes shortly and often sparsely bearded; glumes lanceolate, scabrid especially on the keel, dark reddish brown, the lower 0.8–1.5 mm. long, the upper 1.6–2.3 mm. long; lemmas 2–3 mm. long, scabrid, sharply acuminate. Caryopsis elliptic-oblong, 0.5–0.75 mm. long. 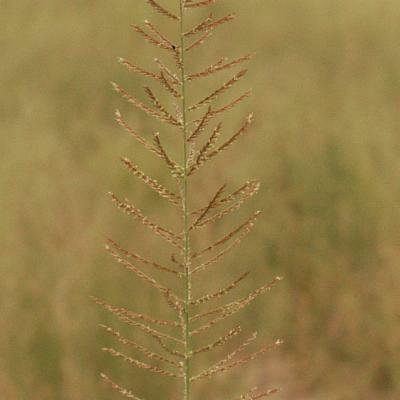 Grassland or open woodland and on waste ground and river banks, on poor sandy soils, occasionally growing on bare sand; 500–1870 m.
Densely caespitose perennial; culms up to 100(120) cm tall, stiffly erect, unbranched; leaf laminas (3)7–24(33) cm × (1)2–4(5.5) mm, flat or convolute especially towards the narrow tapering apex. Inflorescence (7)12–30(44) cm long; racemes 1–8(10) cm long, ascending or spreading, often falcately curved. Spikelets 3–6(8) mm long, 4–10-flowered, elliptic to narrowly elliptic-oblong; rhachilla internodes terete, hairy towards the apex, rarely only scabrid; glumes lanceolate, the inferior 0.9–1.2(1.6) mm long, the superior (1.7)2–2.6(2.8) mm long; lemmas 2.3–2.8(3) mm long (very rarely to 3.6 mm), ovate-lanceolate, sharply acuminate at the apex. Bare stony and disturbed soils. Perennial; caespitose. Culms erect; 40-150 cm long. 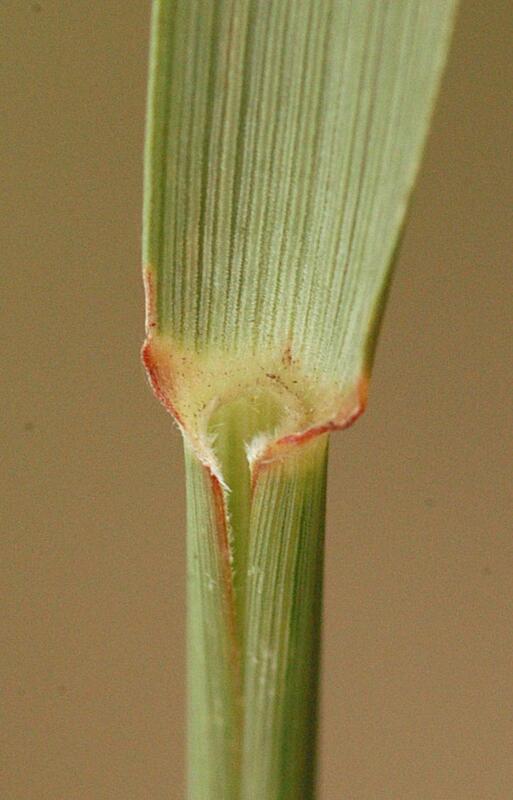 Ligule a fringe of hairs; 0.25-0.5 mm long. Leaf-blades flat, or convolute; 4-33 cm long; 2-5.5 mm wide. Leaf-blade surface scabrous. Leaf-blade apex attenuate. 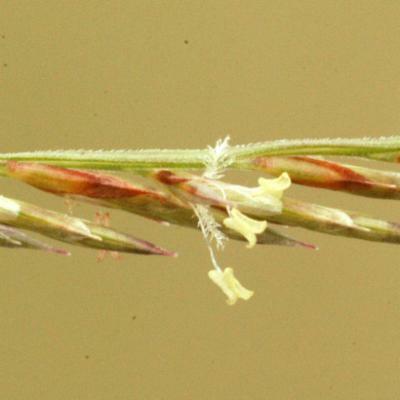 Inflorescence composed of racemes; bearing juvenile spikelets at emergence. Racemes numerous; borne along a central axis; spreading, or ascending; straight, or arcuate; unilateral; 1-6.5 cm long. Central inflorescence axis 11-44 cm long. Rhachis deciduous from axis; angular. Spikelet packing broadside to rhachis; crowded. Spikelets ascending; solitary. 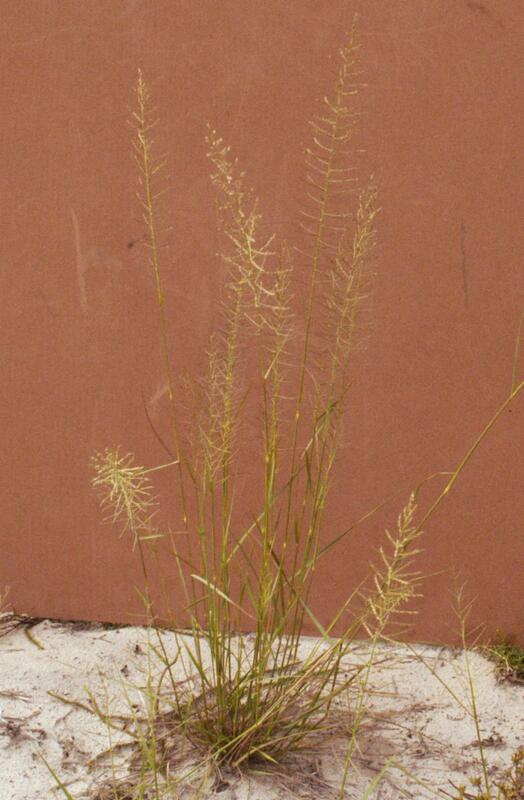 Fertile spikelets sessile. Spikelets comprising 4-10 fertile florets; with diminished florets at the apex. 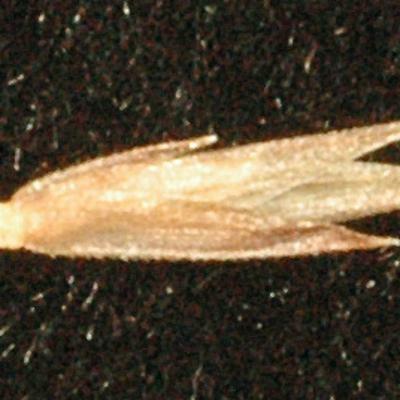 Spikelets elliptic; laterally compressed; 3.3-7.8 mm long; breaking up at maturity; rhachilla persistent; retaining paleas; fragile above; with the distal florets disarticulating separately. Rhachilla internodes pubescent; hairy at tip. Glumes persistent; similar; shorter than spikelet. Lower glume lanceolate; 0.8-1.5 mm long; 0.5-0.7 length of upper glume; membranous; 1-keeled; 1 -veined. Lower glume primary vein scabrous. Lower glume lateral veins absent. Lower glume surface scabrous. 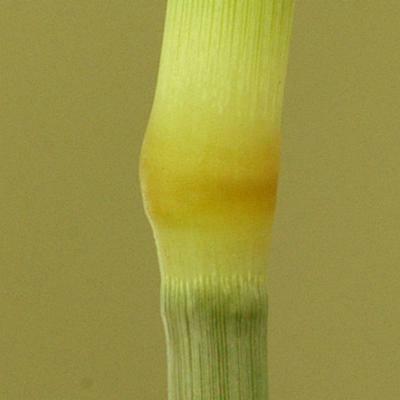 Lower glume apex acuminate. 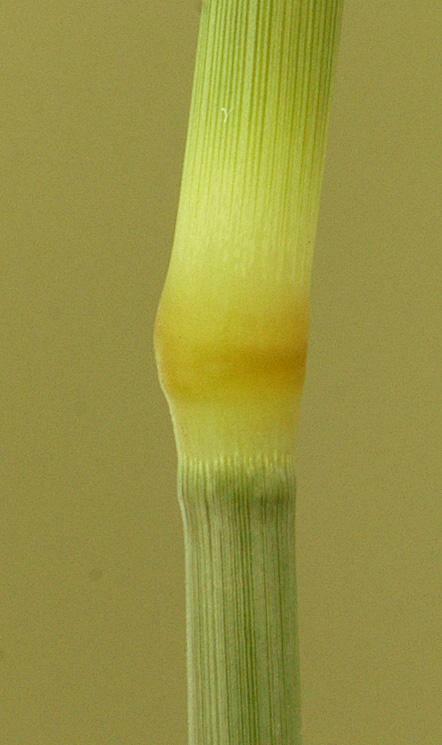 Upper glume lanceolate; 2.6-4.2 mm long; 0.7-0.8 length of adjacent fertile lemma; membranous; 1-keeled; 1 -veined. Upper glume primary vein scabrous. Upper glume lateral veins absent. Upper glume surface asperulous. 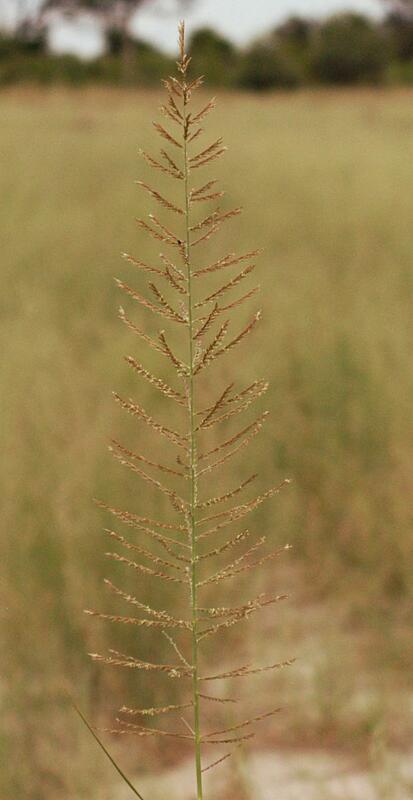 Upper glume apex acuminate. Fertile florets decreasing in size upwards. Fertile lemma ovate; 2-3 mm long; membranous; keeled; 3 -veined. Lemma midvein scaberulous. Lemma surface asperulous. Lemma apex acuminate. Palea elliptic; 0.9 length of lemma; 2 -veined. Palea keels scaberulous. Apical sterile florets resembling fertile though underdeveloped. Caryopsis with adherent pericarp; ellipsoid; laterally compressed; trigonous; 0.5-0.75 mm long. Embryo 0.3-0.4 length of caryopsis. in Notizbl. Bot. Gart. Berl. 5: 149 (1910). Clayton in Flora of West Tropical Africa, ed. 2, 3: 397 (1972). D.M. Napper, Grasses of Tanganyika: 38 (1965). K.W. Harker & D.M. Napper, An Illustrated Guide to the Grasses of Uganda p. 50 (1960). A.V. Bogdan, A Revised List of Kenya Grasses p. 21 (1958). Jackson & Wiehe, Ann. 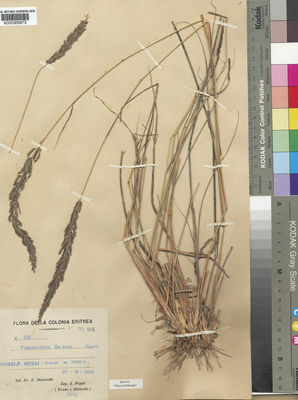 list Nyasaland grasses: 55 (1958). Eggeling, Ann. list grasses Ug. : 39 (1947). Pilg. in Notizblatt des Botanischen Gartens und Museums zu Berlin-Dahelm 5: 149 (1910).